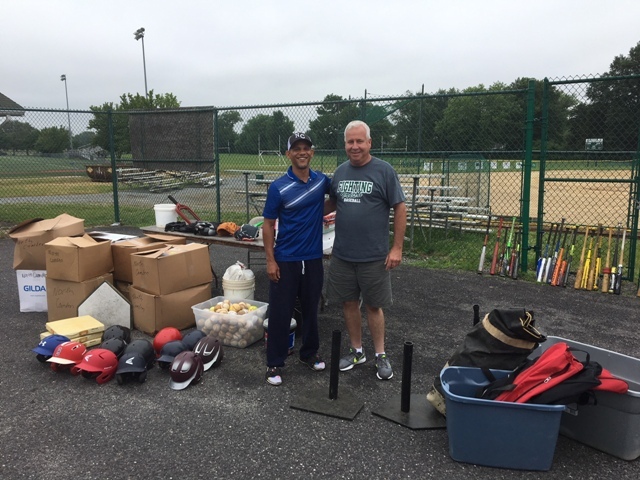 The South Jersey MSBL, headed by league president Lou Marshall, held its third annual equipment drive this past weekend, collecting used baseball, softball and playground equipment and donating it to the North Camden Little League in cooperation with Urban Promise. The North Camden Little League has an organization of 800 plus children up to the age of 18. One uniform company donated $30,000 worth of pants, shirts and hats for the Little League teams! The equipment will help keep the youth off t he streets and on the fields and playgrounds where they are safe and can enjoy a great summer! They continue to accept equipment if you couldn’t make it to the drop-off at Camden Catholic High School in Cherry Hill, New Jersey on Saturday and will pick it up from you if necessary. You can give Lou a call at 856-266-7916.